I love to cook. I experiment with new recipes all the time; I subscribe to all of the food magazines; my method of relaxation after a long day at work is curling up on the sofa with a cookbook. Yet in spite of my zest for preparing something new and unique all of the time, there are a few classics that come to my dinner table on a regular basis. Roast chicken is one of them. 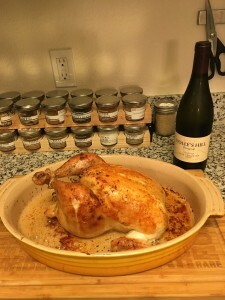 Besides the fact that my husband loves it, there is a simplicity to roasted chicken that satisfies the desire for comfort food, yet also inspires the gastronome within. 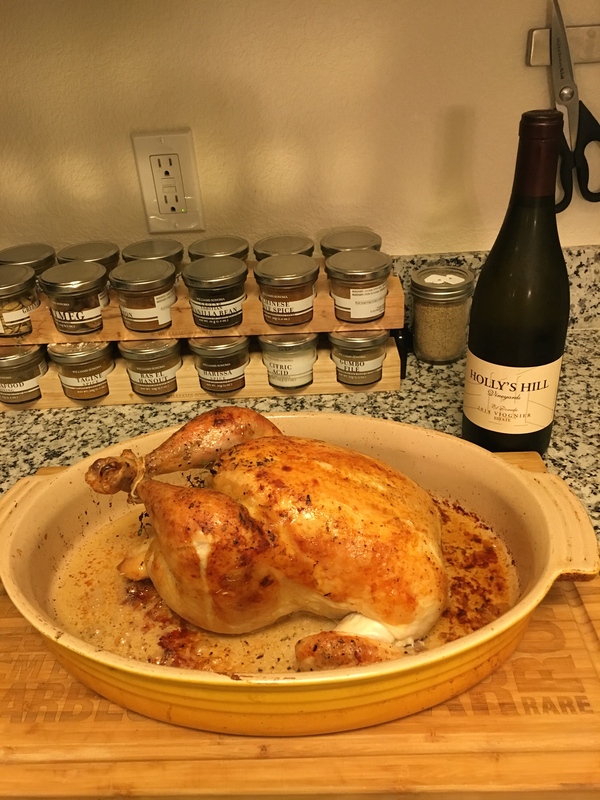 Around the world, restaurants may be given Michelin stars for entrees that look like science projects, but the top culinary artists will often say you can tell how good a chef is by something as seemingly simple as his or her roast chicken. And roast chicken can be quite simple, but there are also a number of things you can do to add your own signature to it. Add some harissa spice for Moroccan flair, simmer some chiles and chocolate for a Oaxacan mole style, or simply rub with olive oil, salt and pepper for a classic flavor. I like to stuff mine with lemon, thyme, and onion, which release nice aromatics as the chicken sits in the oven. I also like to lacquer the skin in butter and herbs de Provence before browning it to perfection. 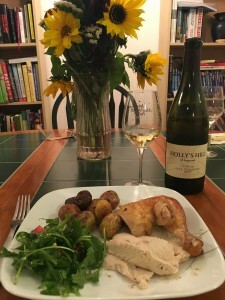 There are a number of wines, red or white, that pair well with roast chicken. Lighter style reds such as Pinot Noir, Beaujolais, or Italian Dolcetto work well with the chicken. A medium bodied Chardonnay, citrusy Rueda, or Rhone white is nice on the white end of the spectrum. I have tried this recipe with many different wines, yet there is one wine that I come back to again and again with my roast chicken—the Holly’s Hill Viognier. 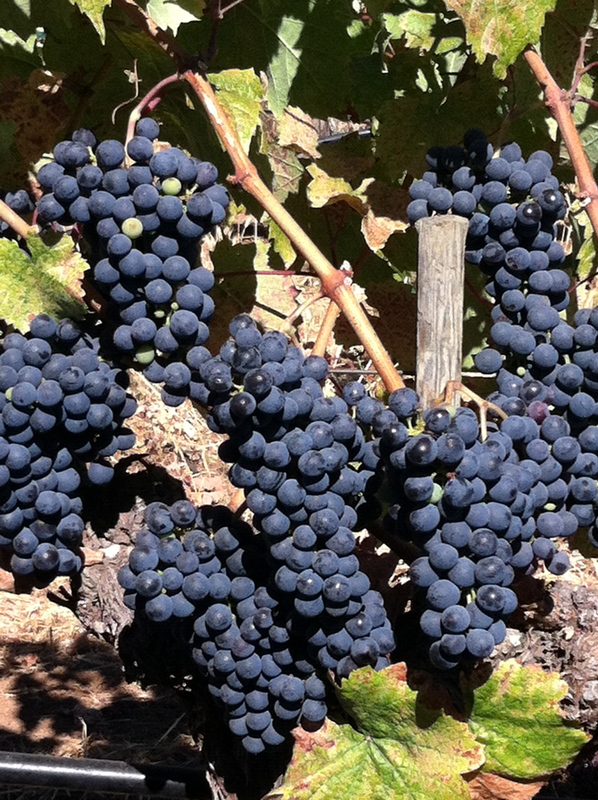 Holly’s Hill is a small, family owned winery in the Sierra Foothills that specializes in Rhone varietals. I have been a fan of their wines for at least a decade, and I always love their Viognier. Tonight we opened the 2014 vintage. The 2014 is gorgeously aromatic with notes of white flowers, apricot skin and ripe nectarines. Not extremely weighty, it is a medium bodied wine with relatively high-octane alcohol (14.9%), though it doesn’t taste hot on the palate. It lends itself remarkably well to the juicy chicken. This makes an easy weeknight meal, but is also impressive enough for weekend company. Serve it with rosemary roasted potatoes and sautéed kale or an arugula salad for an enticing feast. This entry was posted in On The Table on November 22, 2015 by Kareasa.